At Mandalyn Academy, you will learn in an environment that is friendly, professional and inviting. 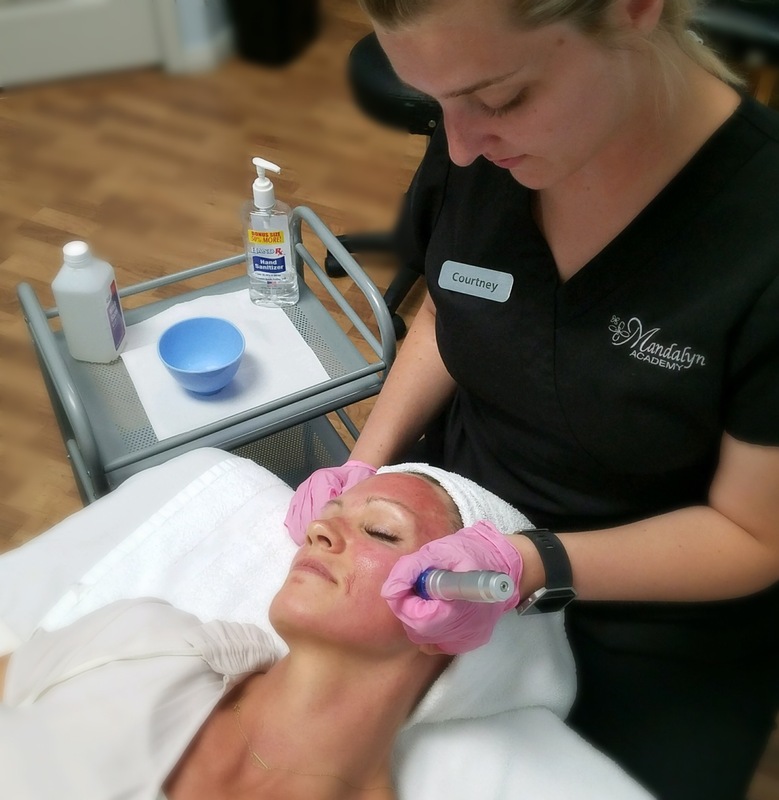 Training in both ‘medical’ esthetics and ‘pampering’ esthetics gives our graduates an edge in the industry, as they become spa and skincare experts in the real world. We know that BOTH are important for your success, and your success is the most important thing to us. We provide you the tools for success. Our experienced and passionate instructors work together to teach with patience and with each student’s best interest and success in mind. With an environment that is friendly, positive and professional, you will develop confidence in yourself and in your skills. You will learn the latest beauty procedures and work with the latest medical esthetics equipment and products. We are dedicated to providing the resources for our student’s development and success, and our students provide the desire and passion to succeed. Mandalyn Academy students maintain a very high passing rate on the State Board Exams.